A regular Indian household has many breakfast staples. A hot glass of milk is one. A bowlful ofdaliya, or dalia, also tops the chart when it comes to breakfast favourites. Dalia is a hit superfood in the sub-continents of India. Since ages, daliya and its healthy properties have found many fans in-and-beyond the fitness circuit. An extremely versatile ingredient, dalia can prove to be a delicious rice alternative for those trying to cut carbs. You can prepare it with vegetables, tossed in oil. 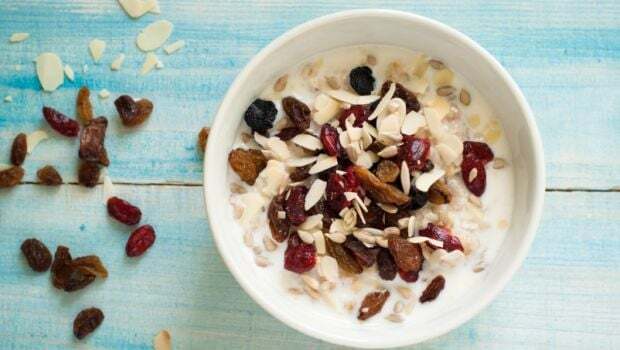 Most prefer to have it in form of porridge cooked either in milk and water topped with berries or nuts. According to Health Practitioner and Macrobiotic nutritionist Shilpa Arora, "Daliya is high on fibre, protein and B vitamins , all of which play a crucial role in weight loss. Daliya makes for a great option for those on a weight reduction diet. You can spruce it up by adding lovely and nutrient dense veggies like carrot, peas, tomato and capsicum. This would help you keep satiated for long. One could also add nuts and seeds to the porridge which can also help nourish the skin in addition to aiding weight loss." Dalia is an extremely low-calorie superfood. One serving of daliya would amount very little to your calorie count, thereby facilitating weight loss. One of the best features of daliya is its high quantum of fibre. Did you know 100 grams of daliya has 18 grams of fibre? The whopping amount of fibre ensure your digestive health is well. Fibre adds bulk to the stool, thereby aiding bowel regularity. A good digestion is a secret to effective weight loss. In addition to this, fibre also fills you up. It takes the longest to digest, and induces feeling of satiety, which prevents you from bingeing into other high fattening foods. A regular to medium portion of dalia would help keep you full till lunch. Now if that doesn't convince you to include the healthy superfood to your diet, we don't know what will. A bowlful of daliya has very low glycemic index. The glycemic index (GI) is a relative ranking of carbohydrate in foods according to how they affect blood glucose levels. Carbs with low GI value (55 or less) are digested, absorbed and metabolised slowly and cause a gradual rise in blood glucose. Daliya being low in GI does not get absorbed quickly and enables slow release of sugar that aid weight loss too. According to Bangalore based nutritionist Dr. Anju sood, "Daliya is high in fibre that delays digestion. Because the output of sugar is not in big quantum, it is not converted into fat". Daliya makes for an excellent source of protein. Protein takes long to digest, suppresses hunger pangs, boosts metabolism and activates weight regulating hormones. A higher protein intake actually increases levels of the satiety (appetite-reducing hormones), while reducing your levels of the hunger hormone ghrelin. Give your mornings a power-packed start with a bowlful of daliya and lose weight naturally.